Nature is God's first book. Nature was around for about 2500 years before the existence of the first scriptures. Hence we can find the same truths that are found in the Bible, displayed in nature. Seeds look so small and unassuming and yet they are little power packed packages. One apple seed can grow a tree that produces many more apples with more seeds. Which in turn produce more trees with apples with more seeds. The line of one seed would simply be almost impossible to trace. So it is with the word of God. It seems so simple and yet it contains power--God spoke and there was light. This same power is given to us in the Bible and yet how many of us pass by it hardly noticing each seed of promise. But it's effect on those who read it is absolutely amazing. It causes them to grow and bear fruit to the glory of God. Within each verse and chapter are power-packed seeds that contain a whole fruiting plant already. What an gift we have in the word of God, a power packed seed of the gospel!. As the water in a waterfall falls upon the rock, so we are to fall upon Christ. Just as the water breaks when it falls on the rock, so we are to be broken upon Christ. And as the water breaks - it turns white in color, so when we are broken upon Christ, we become pure. There are 3 primary colors - Blue, Red, Yellow. All other colors are made from combinations of these three colors. So in the three primary colors, you have the 3 members of the Godhead. You also have the 3 elements essential for salvation - God's Law, His Blood, His Love! If you combine any 2 of these 3 colors, you get one more color. God's Love combined with obedience to His Law provides us with Hope for mankind. The Blood of Jesus combined with the Love of God enables us to see God's Glory. If you go out in nature and apply what you now know of the meanings of the colors - You will discover countless spiritual lessons that God has "hidden" in plain sight for His people to discover. So why is "Charity" greater than the others? Because it is representing the Gift of the Father and Son! When you get a splinter and you remove it, you are, without knowing it, seeing a spiritual lesson that God has "hidden" for you to find. Just as a splinter, as long as it is in the skin, causes pain, so sin, as long as it is present in the members - causes pain. 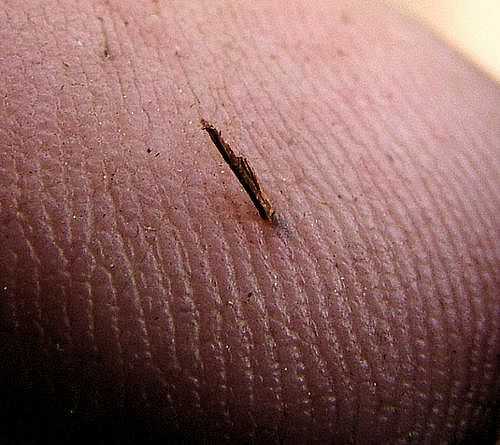 When you remove the splinter - it leaves a hole which must be filled with an antiseptic (cleanser)or it will get infected. "When the unclean spirit is gone out of a man, he walketh through dry places, seeking rest, and findeth none. Then he saith, I will return into my house from whence I came out; and when he is come, he findeth it empty, swept, and garnished. Then goeth he, and taketh with himself seven other spirits more wicked than himself, and they enter in and dwell there: and the last state of that man is worse than the first..."
If the wound gets infected, it can spread and cause many problems for the entire body - one of which, if it gets really bad, can be what is called "Tetanus" or"Lock Jaw". This condition causes the jaw to lock so that you can no longer eat bread and you will die. The way to fix the infection is to cut open the puncture wound so that it can get oxygen - because the germ that causes Tetanus can not grow if oxygen is present. All around us, God has written His Word - His plans for us. From the smallest insect to the mightiest mountain, each portrays a part of God's wonderful plan for His children! If you look at the four season's colors - It tells our story. In the spring, everything is green (Hope) and all the colors of the rainbow are seen as flowers begin to bud and the earth comes to life. As summer comes along, the colors are in full bloom - Everything is perfect. The air is fresh and clean, and beauty carpets all of nature. The trees are busy producing fruits and nuts, and the earth is filled with the goodness of God. Then comes the fall. It parallels with the fall of man. Just as fall brings death to the plants and leaves, so sin brought death to planet earth. But God was not going to forsake His people. In the fall, the leaves turn red (the Blood of Jesus) and yellow (Love of God - as manifested in the Holy Spirit). The leaves then turn brown (the color of man) and fall (come) to the earth, where they decompose and become the nutrients that give life to the plants in the spring. Likewise, we are to spread the truth as it is in Jesus, and scatter it like the leaves of autumn, and one day it will stimulate new life in Christ for someone. As fall turns into winter, everything is dead and barren, the cold winds of affliction blow. But God offers/sends white (purity) snow to cover the dead earth. The true Christians appear as the evergreen who has hope even in affliction and collects the snow (the righteousness of Christ). Then spring arrives with its green color (Hope for mankind), and buds and blossoms start coming out. The signs of summer (Christ's return) are all around us. Many experience the new birth in Christ. Summer is a return to Paradise and the earth made new! to the reading of our publications.--Evangelism p.693 (1885). Many people desire to understand how God works. 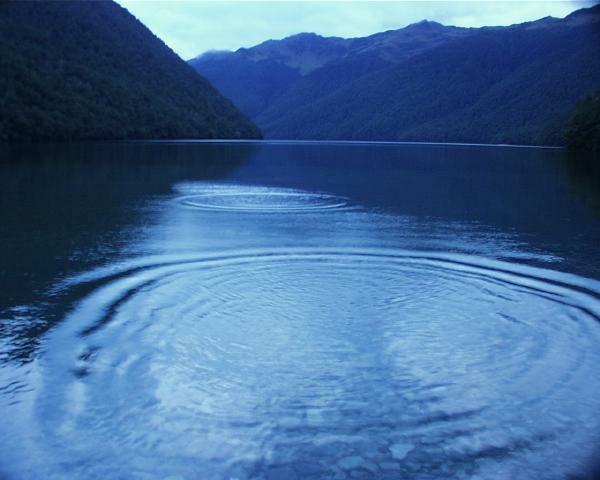 One way that God's method can be illustrated is by throwing a stone into a pond. When Christ comes into someone, that person affects others, and those people affect others, and the effects keep growing and growing. If an evangelist reaches 100 people, then each one of those 100 people share their knowledge with 100 people. By the time the "ripples" subside, 1000's of people have been influenced by that one evangelist. Here you have one illustration of what the Bible calls - A Wheel within a Wheel!